Tenbury is hosting its mistletoe auctions and festival again this year. All take place at Burford House Garden Stores, Burford, Tenbury Wells, WR15 8HQ and are organised by Nick Champion. This is organised by The Mistletoe Foundation who will be on the Burgage in Tenbury Wells for the Mistletoe Ceremony at 2pm as part of Tenbury Mistletoe Festival 2018. The ceremony will honour the Mistletoe, male and female plants, and the harvests of the Teme Valley. Participants (all welcome) are invited to meet at S.E.N.S.E (Temeside House, Teme St, Tenbury Wells, Worcestershire, WR15 8AA) at 1.15pm. The procession to the Burgage will begin at 1.45pm. Or you can join in at the Burgage from 2pm. Other Mistletoe Festival Event information will be available soon – you can check the Tenbury Mistletoe Association website (showing last year’s events at present) or their facebook page for updates. It’s that time again, again. With my first mistletoe talk of the season tomorrow (18th Oct) I’m dusting down the Mistletoe Machine and planning what to say, do and report on this season. Plus corresponding news about other mistletoes worldwide – their insects, their conservation value etc. A discussion about recent research on mistletoe’s interesting mitochondrial biology – specifically the lack of Complex 1, part of the respiration chain used by all multicellular organisms, except, er, mistletoe… Don’t be put off, this may be sub-cellular biology but it is, in discovery terms, fairly massive. And, maybe, if that goes well, a review of recent research into mistletoe phylogeny – how mistletoe(s) have evolved. Every year. EVERY year. 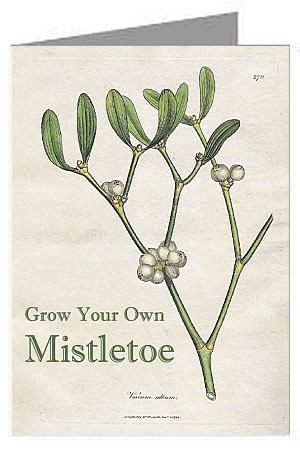 The media, even the gardening media, peddle rubbishy old nonsensical myths about how to grow mistletoe. Yesterday BBC Radio 4 Gardener’s Question Time were telling people to make a hole in the bark, stick the seed in and, wait for it….. seal it in with Sealing Wax!!! An astonishing thing to suggest – not least because who has a stick of Sealing Wax handy these days? Meanwhile Smallholder Magazine’s January issue is telling people to cut flaps in bark, stick the seeds under and bind it all up with hessian. These are not unusual – gardening lore for mistletoe is full of these weird, mediaeval-sounding methods. Even the official RHS ‘Advice’ does so. And then they say ‘only one in ten seeds germinate’ (RHS, Smallholder magazine) or that successfully growing mistletoe is the ‘Holy Grail’ of gardening (BBC GQT). In other words they think it is fiendishly difficult. Well yes, if you follow their methods it is. As their methods will inhibit germination and kill the seeds. Whereas, if you apply the tiniest piece of common sense and think about how mistletoe spreads naturally – by birds wiping or excreting seeds onto branches, whereupon they germinate and grow – you’ll realise that there’s no alchemy to this. The seeds just need to be put on a branch. The seeds need light, need to penetrate bark their own way and need space to grow. None of which they get if you’ve buried them in an early grave inside the tree. The seeds just need to be put on a branch. The seeds just need to be put on a branch. Every year there are media stories on – how shall I put it? – the potential ‘nuisance’ caused by the mistletoe kissing custom. Usually this centres on the dreaded Office Party. But this year is worse than most – the press, inspired by the avalanche of molestation stories, is overflowing with dire warnings about mistletoe. I should report on that, as it is a serious issue and there are ways (mistletoe ‘etiquette’) to at least reduce the risks. But not yet. Today I’d prefer to be a little more light-hearted and cover mistletoe kissing in the right spirit. So here’s an innocent video from 1992 – a TV advert for Yellow Pages. This was immensely popular, and was re-used by Yellow Pages every Christmas for several years. It’s not shown anymore though – probably because Yellow Pages is no longer as thick! Researching the two young actors is interesting – there are several media reports on the boy, Dean Cook, with a specific feature in the Guardian in 2014 and inclusion in a Daily Mail ‘famous poses’ feature in 2017 (they picture him taking the same pose now – see left). Dean is, depending on which reports you read, either still acting or running an upholstery firm, possibly both of course. But who was the girl? Meanwhile, of course, if you want to find out more about mistletoe, try the Mistletoe Pages and the English Mistletoe Shop. Turdus ipse sibi malum cacat, an old latin proverb, relates directly to mistletoe, and to the capture of birds. It translates as ‘the thrush excretes its own trouble (or death)’ and is all about Birdlime, a sticky substance once used widely to capture small birds. One of the traditional, and perhaps fundamental, ingredients of Birdlime, was mistletoe, especially the sticky juice form the berries. The proverb is about mistle thrushes, eating mistletoe berries and creating long strings of sticky turds, formed of semi-digested mistletoe gunk, very similar to manufactured birdlime. It seems an odd concept now, the idea of taking a load of mistletoe berries to make a gluey paste to then capture birds. Why and how would it be done? And how long ago did this start? The latin saying has origins over 2000 years ago, with early attributions including Plautus (254-184 BC) and slightly later ones to Athenaeus (2nd-3rd century AD). It was repeated in various forms over the centuries, notably by Erasmus (1466-1536) in his Adagia (c 1500). 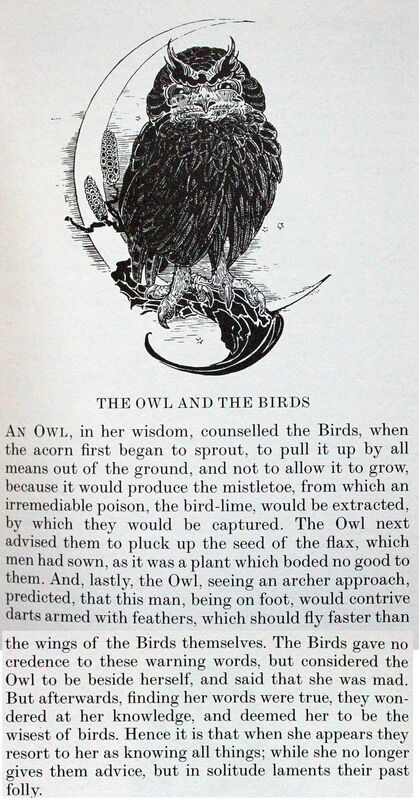 This antiquity does raise some questions over which thrush and which mistletoe is meant (Plautus was based in Italy, 2200 years ago) but, putting that aside, it does seem to make sense – if birdlime is indeed made from mistletoe berries. As for why and how, the why is to capture birds for food or, sometimes, for caged birds. The how is simple – smearing the birdlime onto branches, sometimes with a a tethered captured bird to lure others in. It sounds old and barbaric – and it is. But it is also an ongoing phenomenon in some countries around the world, including, apparently, in Europe (see this story from 2007). The indiscriminate nature of this trapping method was and is a particularly nasty aspect. Spain continued (and possibly still does continue) the practice until recently – a 2004 EU review of the legality is outlined here and some more news on this from 2006 is outlined here. But, getting back to the Birdlime itself, was this really made from mistletoe and if so was it really from the berries? That’s certainly what the proverb implies – but in reality many Birdlime recipes exist and mistletoe isn’t often a major ingredient. Interestingly (just to keep a seasonal theme!) Holly bark is a major ingredient in many European recipes, boiled up to create a sticky mess. Slippery Elm bark appears in US recipes. Mistletoe also features in these recipes, but some refer to Loranthus europeaus, the yellow berried (and disappointingly deciduous!) mistletoe of central southern Europe. 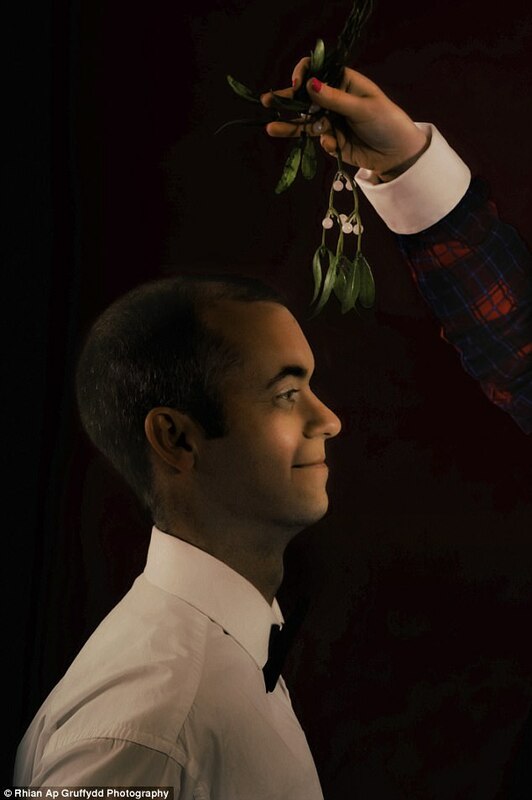 Plautus might have known that mistletoe better than our white-berried Viscum album. I was talking mistletoe, and mistletoe Grow-Kits, with Kate Clark from Radio Gloucestershire this morning. In the studio in Gloucester, despite the snow. Two more grand old mistletoe men were lost to us in 2017 – Reg Farmer and Alec Wall – both of Tenbury Wells. I first met them both back in 2003, or maybe 2004, I can’t recall exactly. They were hoping to promote Tenbury Wells’ mistletoe heritage at a time when it seemed that the mistletoe auctions were soon to cease. Others involved were Stan Yapp (the ‘Mistletoe King’, who died in 2013 aged 80) and local author Jen Green (still with us as far as I’m aware!). 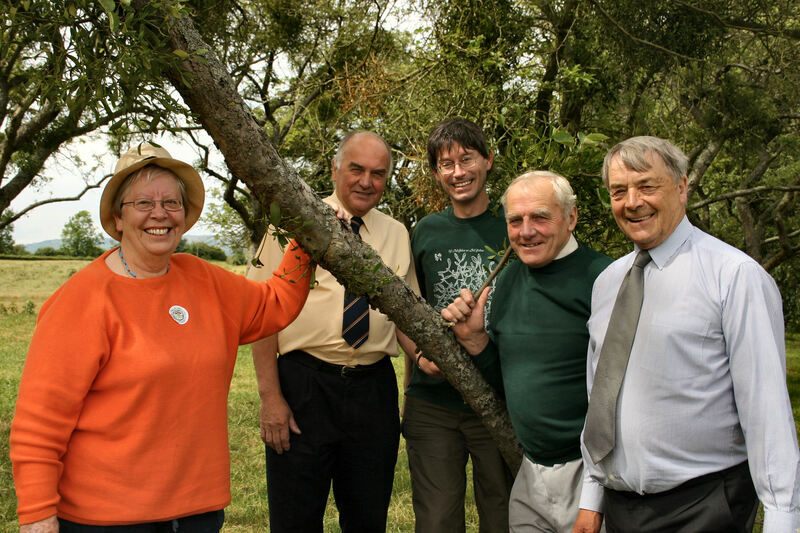 They persuaded me to join their campaign and the five of us formed a business partnership – Tenbury English Mistletoe Enterprise, or TEME for short. Reg, a farmer by profession as well as by name, died in August, aged 88, after a remarkable career in local government and politics, beginning in 1961 on Lindridge Parish Council and only finishing in 2011, during which he spent many years representing his area at District and County level, twice as Chair of Malvern Hills District Council and also their first and only honorary Alderman. Alec, a former police detective who had retired to the area to farm at Stoke Bliss, died in September, aged 82. He too had taken an active role in local politics, also serving several stints as a local councillor. TEME’s aims were to keep Tenbury’s mistletoe trading tradition alive through whatever trade and promotions we could think up. And we really thought the auctions would cease (the auction site was being sold and the auctioneers who ran it were moving out of town) . On the promotional side we created the Tenbury Wells Mistletoe Festival, along with National Mistletoe Day and the Mistletoe Queen, all of which seem like long-established fixtures now. And we (mainly me actually) encouraged the druid Mistletoe Foundation to bring their mistletoe ceremony to town each year – this is also now an established fixture. On the trading side we launched Britain’s first online mail-order mistletoe business, sending Tenbury mistletoe all over the country (and beyond!) 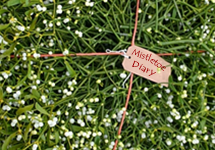 and launching a range of mistletoe-related products including Grow-Your-Own Kits. All of this was surprisingly successful – not particularly remunerative in financial terms but immensely satisfying. And whilst TEME disbanded some years ago our online mistletoe trading concept lives on through many other similar sites – which I like to think were inspired by us. Meanwhile, to our slight surprise but immense relief the auctions carried on, albeit at an out-of-town site, run by Nick Champion (who had been employed at the old auction yard) who set up by himself and keeps the mistletoe auctions going (to the present day). That TEME team was a mixed bunch though – Stan was an old-fashioned farmer and mistletoe trader, Jen was primarily promotional, utilising her substantial experience in media and marketing work. Alec was the practical man, with a police and agricultural background, running all the admin (considerable for the online business), Reg, with huge local agricultural and political knowledge, was the contacts and ideas man. I, by far the youngest, brought technical mistletoe knowledge, online know-how and media and promotional experience from many years in environmental media work. Despite, or possibly because of, this breadth of background and experience it wasn’t always sweetness and light within TEME – there were a few falling-outs now and then! And sometimes with the conservative Alec and Reg it was best (for me) to avoid mentioning politics (though I do still miss some of the arguments!). But I think TEME’s legacy is secure – the Mistletoe Festival is now well-established and mistletoe trading continues to thrive – both at the auctions (for which we can thank Nick Champion rather than TEME – though we did substantially help their promotion!) and via the various online trading companies selling direct to the public, probably inspired by TEME and most of which are still, directly or indirectly, associated with Tenbury. So thanks Reg, Alec and Stan – for your mistletoe legacy. It was fun too.